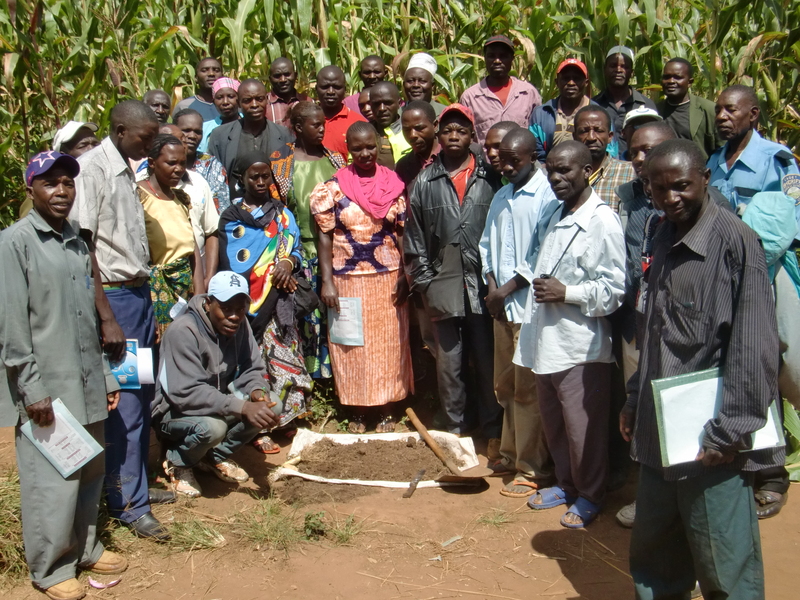 Rockin Soils works with Agriterra to organize a series of courses for farmer cooperatives in Southwest Tanzania, to improve the quality of maize, beans and Coffee with affordable organic inputs. Conventional farming practices rely on chemical fertilizers and pesticides that most farmers cannot afford. Access to information about reliable self-made organic inputs is in high demand in Tanzania. The skill to upcycle farm refuses, recover nutrients and improve the soil is scarce and farmers end up in situations where they dispose or burn valuable resources and soon after they go for a loan to buy fertilizers. With the application of Visual Soil Analysis (FAO, 2008) in the farms, we see that all the assessed farms have lost a good part of their Soil organic content. Giving the climatic conditions of the tropical areas, we estimate that the continued use of chemical inputs combined with the current farm practices of kill, harvest, dispose and burn, will lead to decrease of soil fertility in the short term. Less fertile soils will demand more external inputs and increase the risks (economical, ecological and social) of the farmers. While farmers dependency on external inputs grows, their capacity to cover the costs or access loans remains insufficient. The regeneration of the farm soil is the logical strategy to ensure that farmer families can keep farming and make a living. The courses integrate the simple lab-less techniques to assess the soil condition, the production of organic inputs and regenerative farm practices, nutrient recovery, water harvesting and moisture management. The more than 60 model farmers and local extension officers are optimistic about the potential of this approach for small farm operations, as well as for local commercial enterprises. ← And the root said: Now I can breath!